If you have a growing family, love to entertain, have a hobby that requires space or need a place to work or work out, you may be finding that there just isn’t enough space in your home. An unfinished basement may provide the extra living space you need. There are so many possibilities. Do you need more kitchen space for storing glassware and other items you use for entertaining? 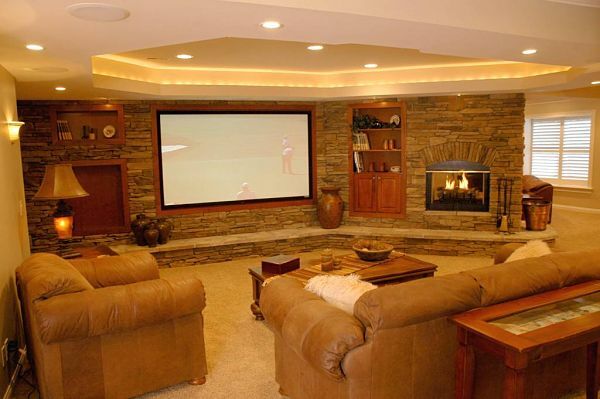 If you don’t have a wall in your main living area that would accommodate a big screen television, a basement media room may be the solution. 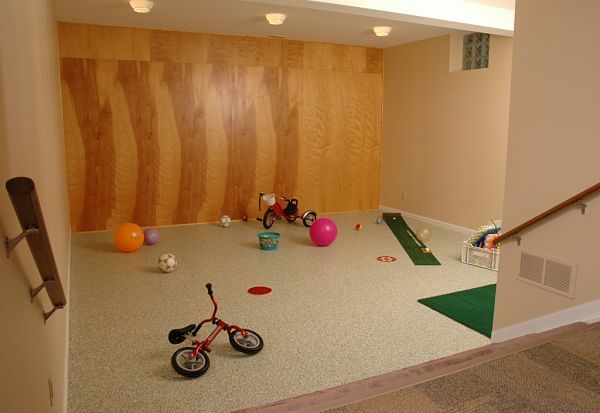 If you need space for active kids to play games without being underfoot, give them free reign in the basement. 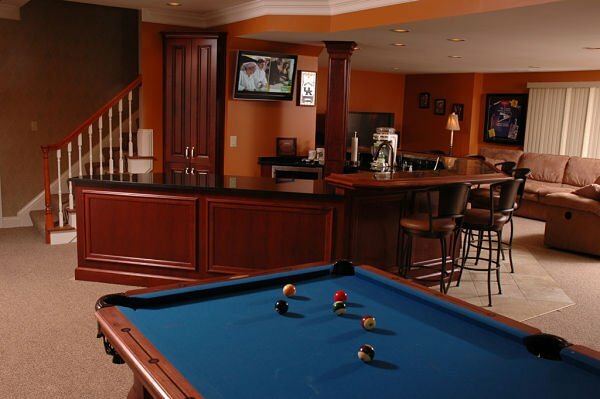 Where can you find a better space to create a “man cave” than downstairs? If you’re looking for design ideas, check out these lower level remodels that have extended the living space of homeowners in the Greater Cincinnati area. People who entertain and host large gatherings during the holidays often find that there is never enough room in the kitchen. 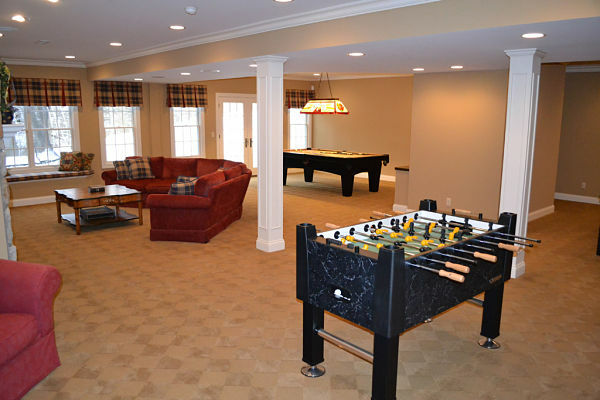 A basement can provide the extra room needed for storage and appliances. 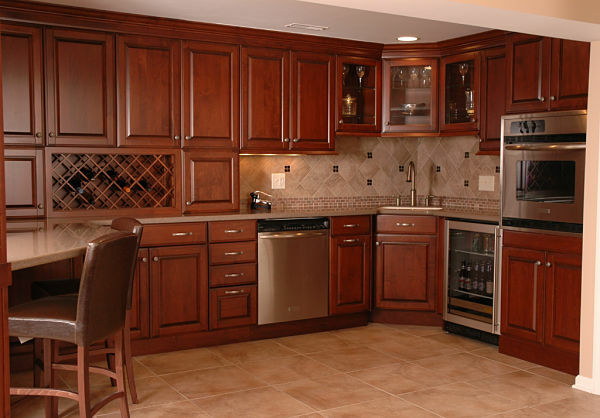 During hot summer months, a lower level kitchen can be an asset and provide a cool place for preparing meals. This lower level kitchen provides storage for dishware, food and drinks, and has a convection oven. An extra bathroom is always welcome. 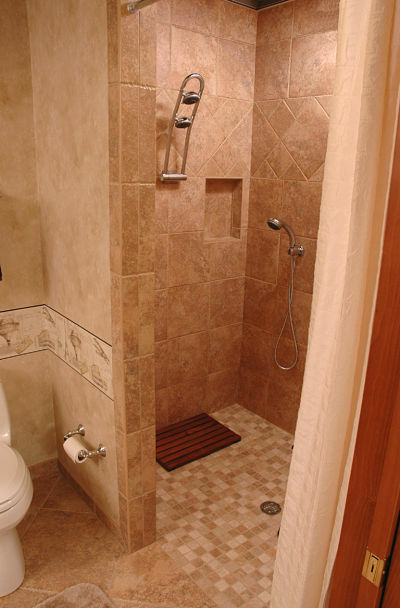 This bathroom occupies a small space and includes a doorless walk-in shower that can be used by the homeowner after a workout or by guests. A casual living space is a great place for families to relax. 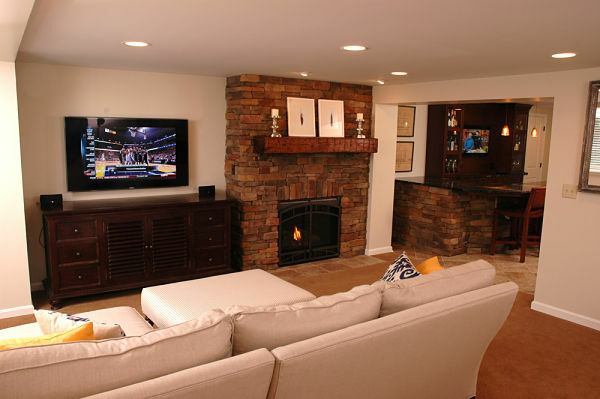 The open space of this basement was converted to accommodate a bar for entertaining, a media area, a gas fireplace and finished walls to display the homeowners’ collection of wall hangings and artwork. Most homes don’t have a large, empty wall to hang a modern big screen television. A finished lower level may provide a great solution. These homeowners designed a room around a television and added built-in shelving to display collectibles and hide equipment. A gas fireplace warms the room. It’s fun to play at home. A walkout lower level provides ample space for playing pool or table hockey and includes a seated area and table for playing board games. A built-in window bench adds seating for gatherings. Give a guy a place to play pool, a bar to watch the game with friends, a couch to watch TV and a wall for his memorabilia and he’s happy. This room does all of that and provides additional closet space for storing infrequently used holiday ware. 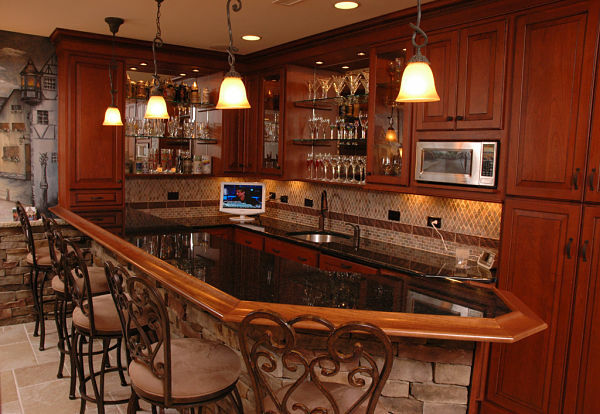 If you love to entertain, guests will enjoy gathering at a bar for drinks, snacks and conversation. This bar has it all. There is ample shelving for glassware with mirrors to reflect light and add sparkle, tall cabinets for plates and storing food items, a microwave, bar sink, under-counter refrigerator and TV. There are outlets for plugging in a blender and a recharging station for a cordless phone. The bar comfortably seats six. Wine storage in a lower level can be a small, dedicated space or a large ‘cellar’ to store an oenophile’s vast collection. 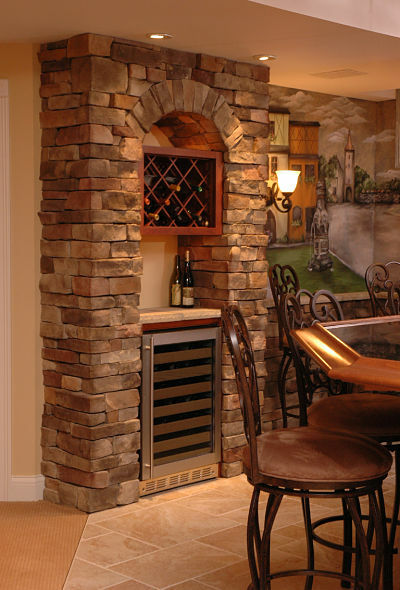 This “wine grotto” is reminiscent of Europe with a rack to store 12 bottles and a cooler to hold wines that are ready to serve. The homeowners included a fresco of a European village to inspire conversation. Some people enjoy whimsical features in their homes or want to make full use of the space. 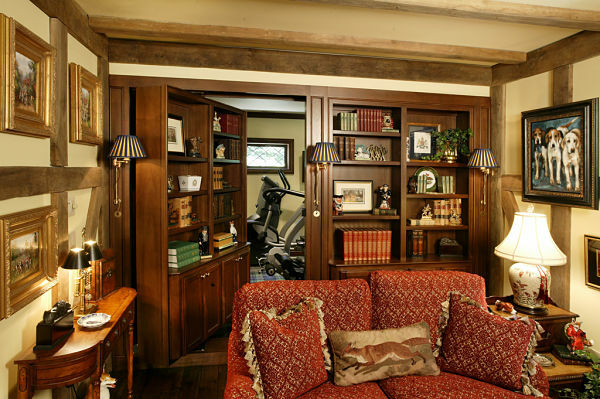 A secret room hidden behind a bookshelf can add a unique touch to a home. The owners of this home wanted to create the look of an English Tudor home for their collections of antiques, artwork, books and British collectibles. They also wanted an exercise room that didn’t compete with the decor. A hidden room adds to the ambiance and solved the problem. If you enjoy sewing, scrapbooking, woodworking, brewing or art, you may find that your hobbies require space to work and store supplies. 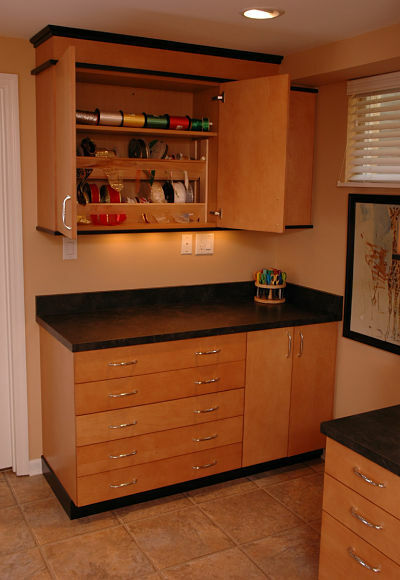 Cabinets and counters provide the storage for a range of items. This homeowner needed a place to wrap gifts. The cupboard is where ribbons are stored. Papers are stored in wide, shallow drawers and a carousel on the counter holds pens and scissors. No time for the gym but need to stay in shape? A home gym is a convenient way to exercise. 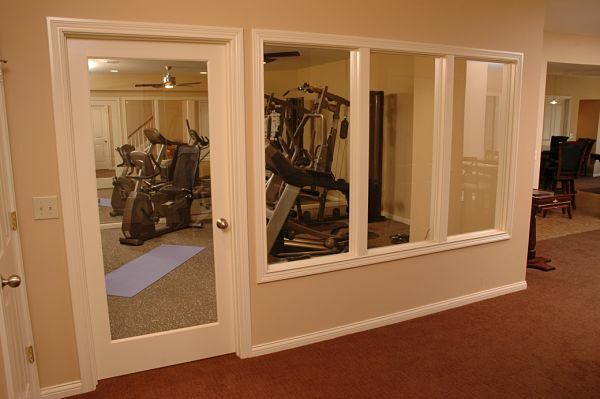 This homeowner needed room for an exercise bike and weight benches. Lighting, bright walls, carpeting and posters make the room an inviting place to spend time. On rainy days, or extremely hot summer afternoons, it’s better to stay indoors, but with active children around, being cooped up on the main floor can quickly become frustrating. 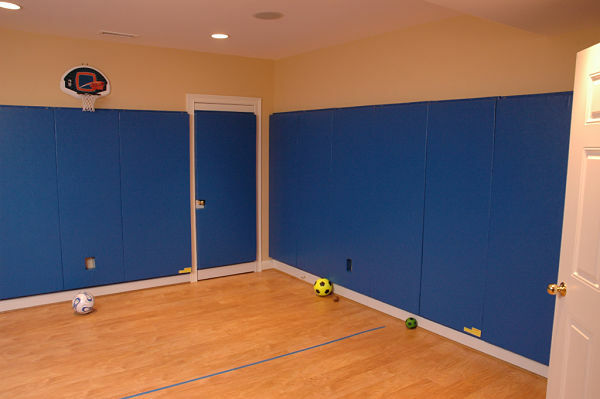 This lower level playroom, complete with easy-to-maintain wall paneling for balls to bounce off of, is a great place to let the wild-ones release some energy. If your basement has a tall ceiling bring the hardwoods indoors, add a hoop and some gym paneling and you’re ready to play a round of one-on-one. The paneling doubles as a sound barrier as you practice your lay-ups and foul shots.